Catch up with PART 1 - Tips for Buying Items On Ebay. 1. Time it right - When you are on ebay having a little nosey, watching, bidding I can almost guarantee that most of the time it is in the evening. This is KEY to remember when you are uploading something to sell! Always remember that whatever time you upload the item it will be exactly that time in 1,3,5,7 or however many days later, you choose, that it will end. So if you are free at 9am and think its a perfect opportunity for you to get on and add some stuff to eBay remember you can always use the "scheduled start time" option when listing something. It costs about 6p but in my opinion selling something at 9am and selling something at 9pm has a big big difference and by putting it up at a later time you can earn alot more money. People may be at work or school in the morning or looking after their children, having your item end in the evening gives more people the time place bids and outbid each other for it - there are so many people online between 6pm-12am. 2. 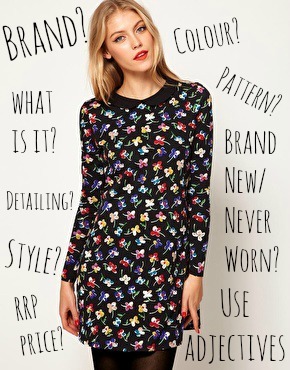 Description is key - If you are selling an amazing dress typing in "Black Dress" is not going to get you very far is it? If people are looking for particular things that is what they will search for! 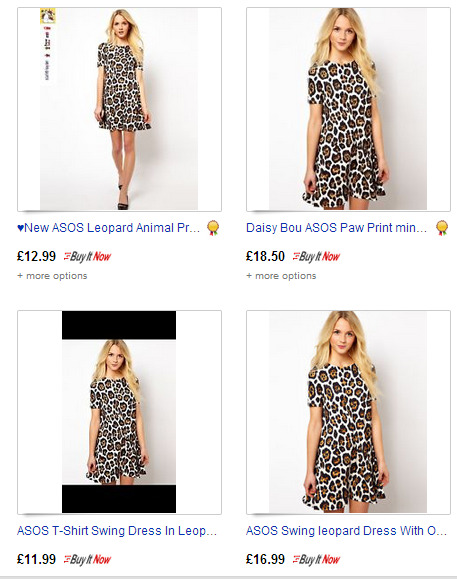 So give as much detail as you can for example the dress shown on the right, when you list it you want the item name to be something like 'ASOS Floral Print Swing Dress With Peter Pan Collar' get in all the information you can. If you know it has sold out in the shops or online write 'Sold Out' in the description! If you have seen a celebrity wearing it add "as seen on....." all these things are little but at the end of the day will help you get a bigger viewing for your item and hopefully therefore more bids! I like too leave out the size in the main description and just add it too the item details I believe it brings in more clicks/views - people curious to see if it's their size and even if it isn't maybe they'll still bid because it is a bargain, who knows?! 3. Price Up Postage - When you are a seller on eBay you have to think of it as like a small business. People are paying you money for you too send them goods. Remember that YOU are the person who is responsible for getting their package to them. Postage can be expensive so it's always best to charge a little extra (even though some buyers may disagree) the average item of clothing will be between £1 and £4 with royal mail depending on how flat you can get your item! Always take into consideration also the material you will need to buy and use for this, such as sellotape and parcel paper/jiffy bags and slo the amount of time it's going to take you! 4. Promote yourself - If you're selling quite a few items - let people know! They may like the look of something of yours and decide to check it out so always make sure that in the description paragraph you mention that you have lots of other things for sale and maybe list off what brands/items you may also have. If people have liked one item from you maybe they will want to look at more and if you mention that you're selling from a wide range of place e.g. Topshop, ASOS, New Look, Miss Selfridge - this may encourage more people to have a look. 5. Do your research - There is no point at paying to list an item for £25 (or having a high reserve price) if all the other versions of it are selling for £10 and under! Before you list something search it's description and see if others are already on eBay. If so, you can see how much people are starting their bids at and how popular it is, you will know what sort of price then you could maybe and hopefully get for it. Remember you can choose either an auction or 'buy it now' or you can even just put it up for both - whatever suits your particular item! 7. Offer Deals - Selling lots of items? Maybe offer combined postage or a % off if they spend over a certain amount of money. People always like to feel like they are saving, and if you can fit the things into the same parcel to post then you aren't really loosing out on anything. This could encourage more people to bid on more of your items. 8. Get the app - The app is a god send. Not only can you follow all your activity on it like I said in my "tips for buying" post but you can also upload and start listings through it! This makes it super quick and easy - you can use your phone camera too quickly get a snap of the item and away you go! 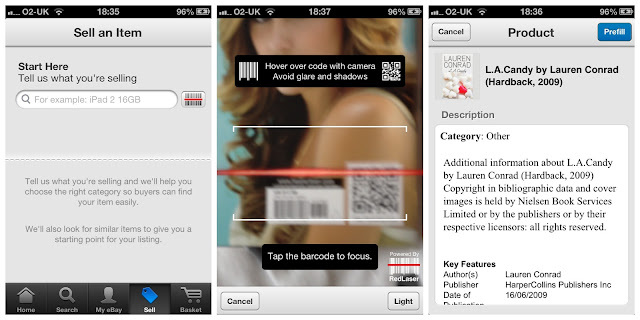 It is also great if you are selling DVDs/Games/CDs aswell as you can actually scan the barcode with the app and it will automatically upload all the information and a photo for you - easy peasy! 10. Be honest - Honesty is a big thing on ebay. 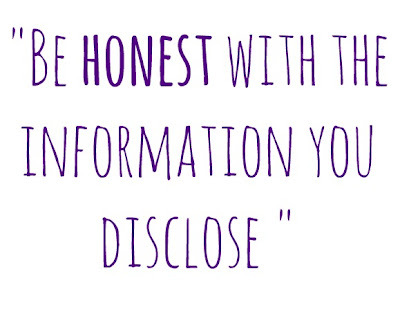 If you were purchasing something from a seller on ebay you would hope they would be honest with the information they disclose so the best thing for you is too be honest aswell. If something has been worn - say that, if something has a tiny mark on it - photo it and include it. This way no-one can ever question you or give you bad feedback, at the end of the day it is for your benefit. No point selling something saying it is brand new with tags if it isn't it will only end in you getting bad feedback - which will just put off other buyers from buying anything from you in the future! 11. Answer questions - If people message you asking you questions be polite and reply. People may just ask about sizing or colour but others may ask about posting to different countries for them! Just reply to them with honest and open answers and hopefully they'll end up being a bidder or buyer! Make sure you are longing on frequently to check your progress - be available. Very very goood tips! I;m glad you mentioned photos, those can turn me away if they make the product look bad! Nice tips. I am all about photos, I need like great photos every angle lol. Thanks for these tips. I have quite a bit of stuff that I have been meaning to sell on ebay and these will definitely come in useful!